our customers security and safety, click here for details. Straight-forward and realistic.Click here for unit sizes and prices. Always on-site, full-time maintenance staff. Click here to read what our customers have to say about their experience dealing with Airport Mini Storage. 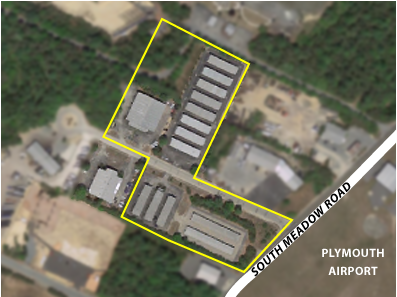 Conveniently located off Exit 6 and across from Plymouth Airport. Click here for map and directions (Google Maps). We have been serving the self-storage needs of the Plymouth, Duxbury, Carver, Kingston, Bourne area for over 30 years. Airport Mini Storage is the largest Self Storace facility serving the Plymouth, Duxbury, Kingston, Carver and surrounding towns. We have units priced to fit your budget and your storage needs - from the entire contents of your house to several filing cabinets with archival files. Call 508-747-6137 or e-mail today for full details.